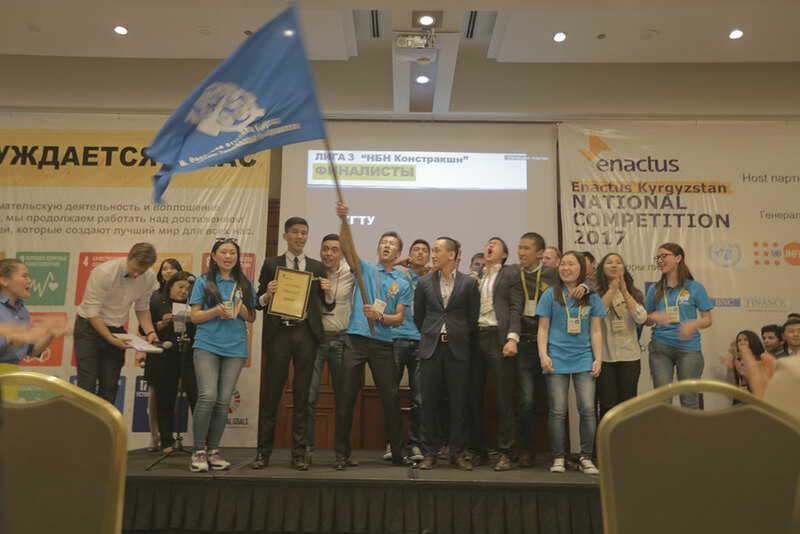 There was no shortage of excitement leading up to this year’s Enactus Kyrgyzstan National Competition: not only were teams sharing their excitement on social media, but the event was covered extensively by several news outlets leading up to the event as well as sharing the results afterward. Check out this great article posted before the competition; and this one put together by the State Agency for Youth, Culture and Sports with a recap of the event. 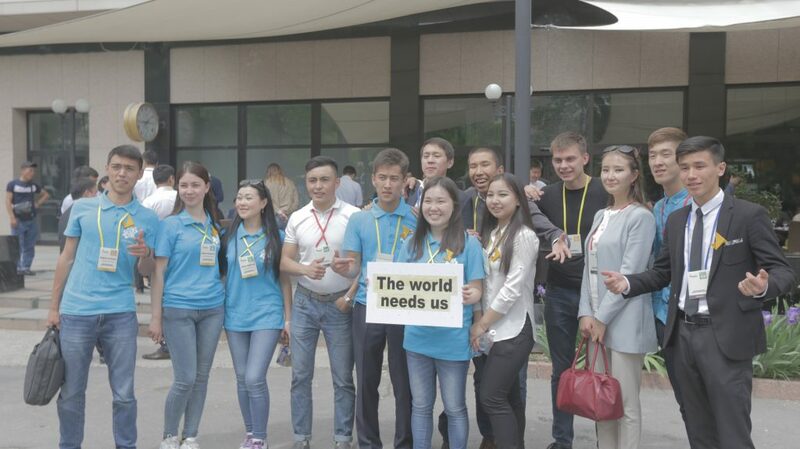 And Enactus Kyrgyzstan has shared even more on their Facebook page. 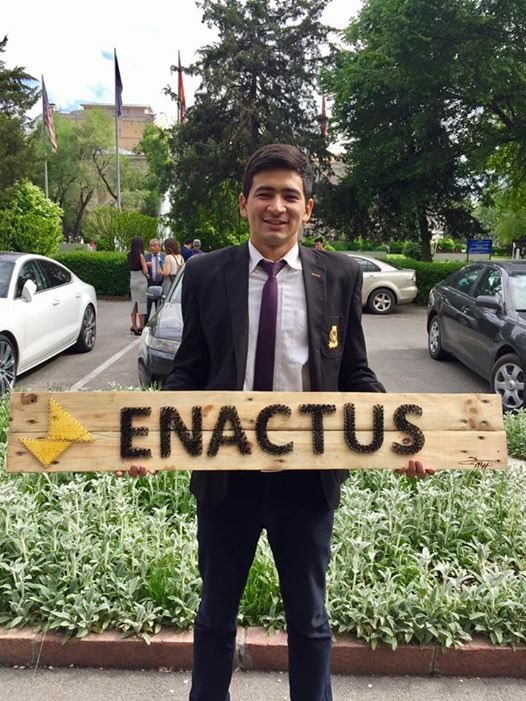 It’s clear that the Enactus program in Kyrgyzstan is well supported, with great enthusiasm for our mission and the positive impact teams are making in communities across the country! 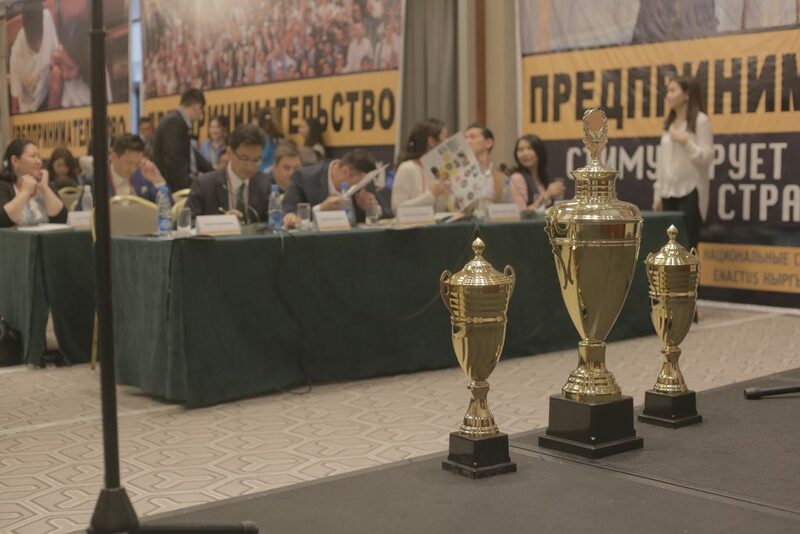 In total, 600 supporters met at the Hyatt Regency Bishkek to select the 2017 Enactus Kyrgyzstan National Champion and celebrate the teams’ accomplishments. Nearly 30 executives served as judges in the opening round of competition, narrowing the field of 17 teams to a final three. Then, on the main stage, 12 of the country’s top executives had the difficult task of evaluating the final three programs and select the team that will represent Kyrgyzstan at the Enactus World Cup in London this September. 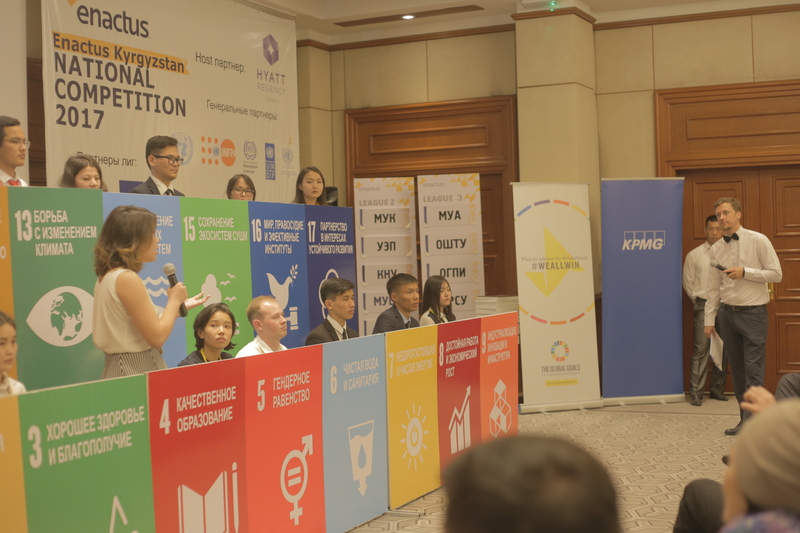 After the inspiring presentations, the team from Kyrgyz National University was named the winner, impressing judges with their Nomad Gas initiative, where the team developed and opened biogas plants in several communities, which converts agricultural waste to energy and provides residents with a new revenue stream. 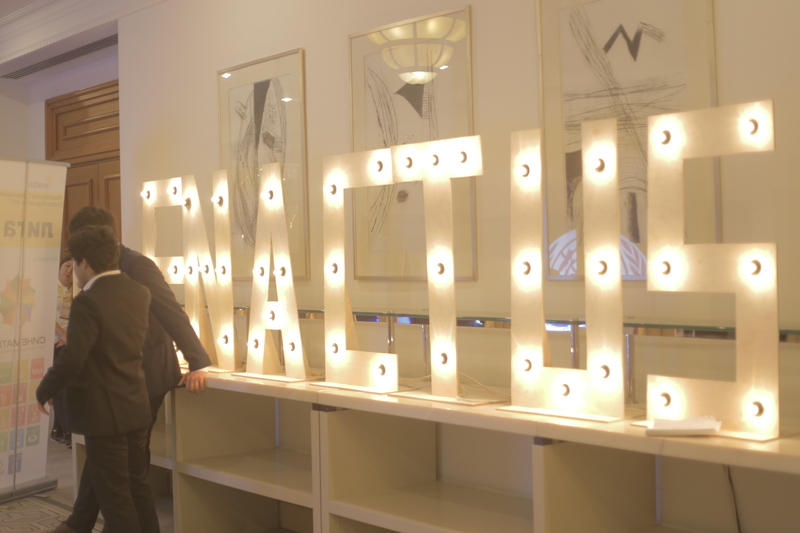 Translation: Third year…And finally we did it! A team where everyone grows and gets better. Judges weren’t the only ones inspired at the event: students had the opportunity to hear from an impressive lineup of speakers, including Kudaiberdi Kozhobekov, Deputy Minister of Education and Science of the Kyrgyz Republic, who opened the event and said that Enactus is the best youth program in the country, providing limitless opportunities for participants; and Mederbek Omurzakov, Head of UNFPA in Kyrgyzstan, who commented on the role of Enactus in empowering youth to achieve the SDGs. 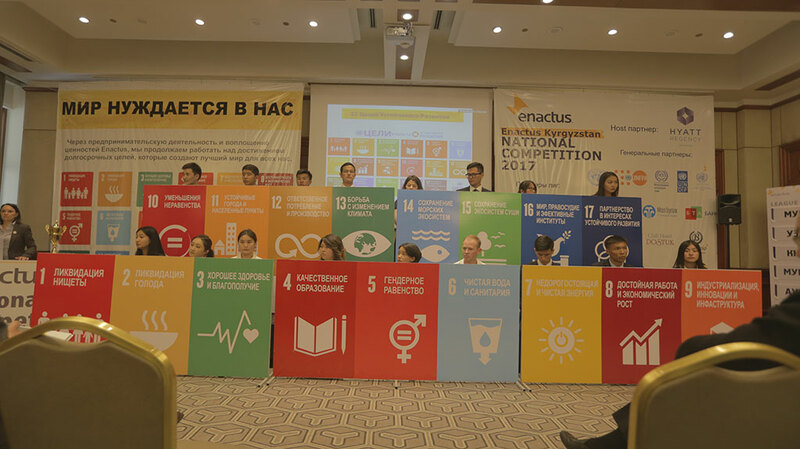 Speaking of the SDGs, Enactus Kyrgyzstan hosted a special SDG forum during the competition, where 17 students served as panelists to discuss their projects and explore ideas to address the 17 Global Goals. The team is now putting together a recap video that they will use to promote the SDGs to students across the country, building awareness and encouraging them to get involved. 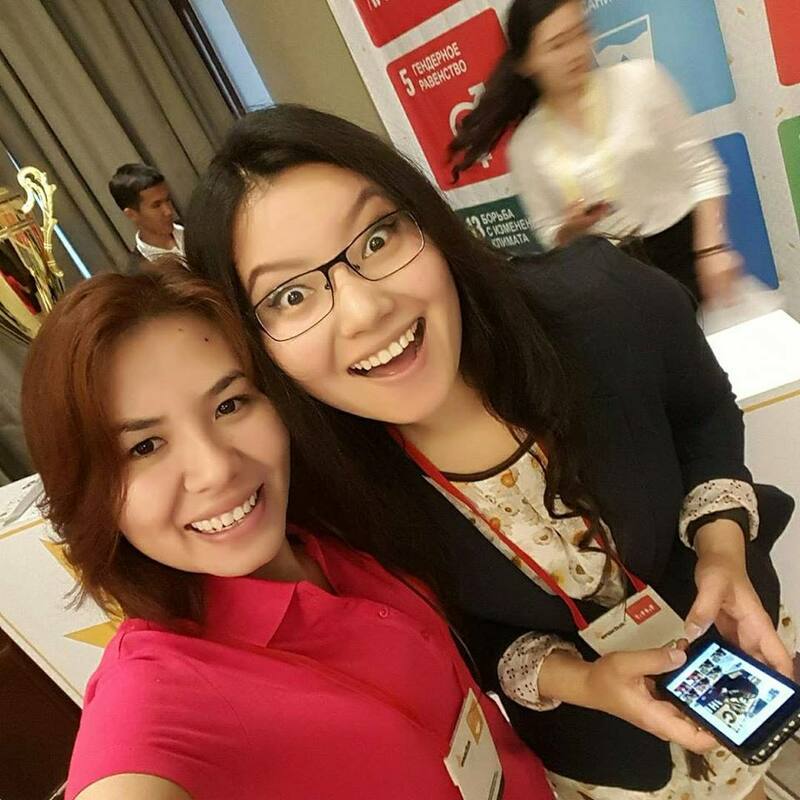 If you saw some of the great posts on social media during the Enactus Kyrgyzstan National Competition, you have three individuals to thank: social ambassadors Nurkamal Tursunbekova, Nazira Sheraly and Dastan Niyazov. 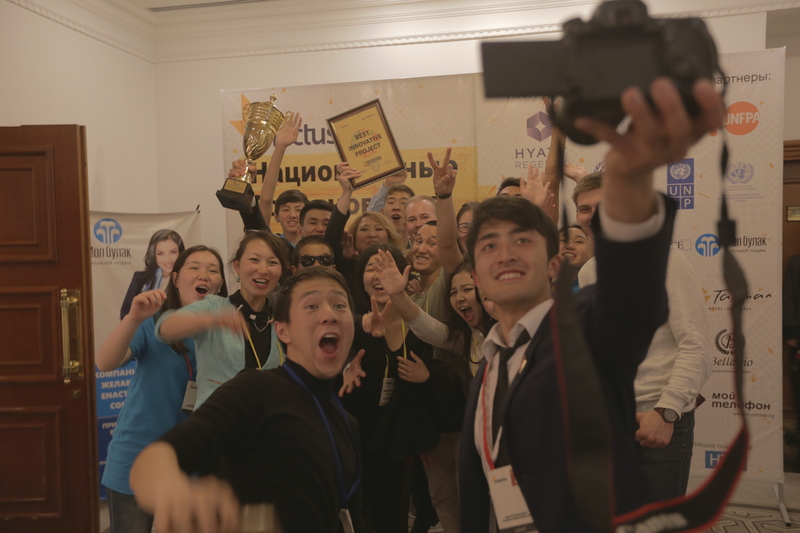 Want more from this year’s Enactus Kyrgyzstan National Competition? Find all the highlights in this great video!